Dr. Ying Chen is the professor of Ocean College and of the State Key Lab of Fluid Power and Mechatronic System, both at Zhejiang University. 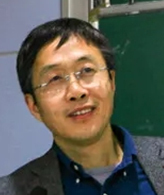 He founded the Ocean College for Zhejiang University in 2009 and he is now the director of the Ocean Engineering and Technology Institute and heads a research group on ocean technology. His main research interests are now focused on mechatronic technology and its application to deep-sea systems, many of which are related to the exploitation and observing of the deep seafloor and to underwater cabled observatories.